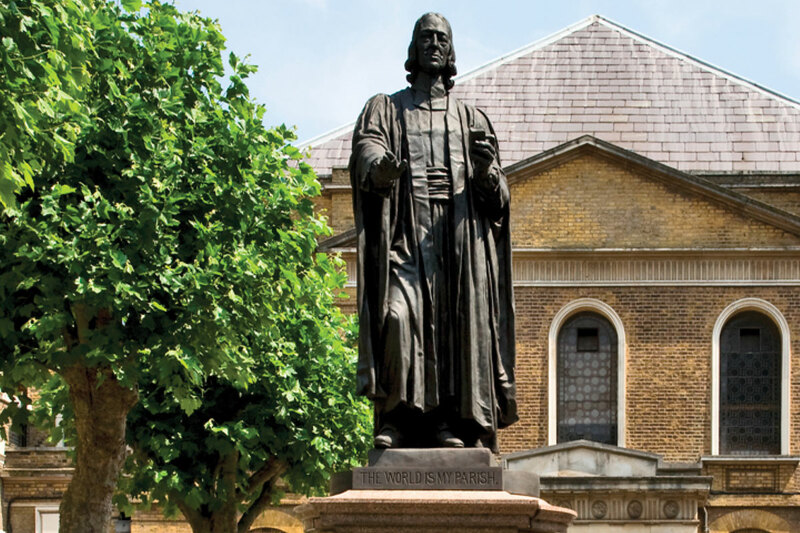 Wesley’s Chapel, City Road in London was built in 1778 by the founder of Methodism, John Wesley. Onsite are the 18th century house in which Wesley lived in the last twelve years of his life as well as his grave, to the rear of the Chapel, where he was buried in 1791. The Museum of Methodism is located in the Chapel’s crypt; this charts the Methodist movement from its beginnings to the present day.